Christians in Context: from orthodoxy to orthopraxy. : 10 Ways to know whether a blog is Reformed. 10. There is a weekly hat tip to a Justin Taylor posting. 9. 50% of the blog posts critique the Emergent church movement. 8. The subtitle mentions grace or mercy. 7. John 6 or Romans 9 is readily accessible. 6. They look for someway to mock Rick Warren. 5. Tim Keller or John Piper is their hero. 4. The “currently reading…” section contains at least one John MacArthur book. 3. 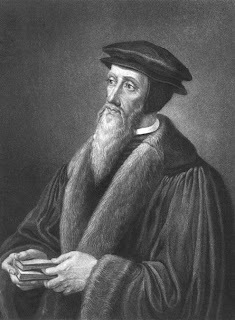 When searching their blog for John Calvin there is over 100 entries. 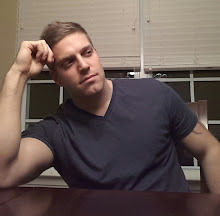 2, Somewhere on the blog is a link for TableTalk magazine or Monergism books. 1. Tim Challies is in their blog roll. Okay, maybe not 50%, but at least 30. I fit only under #8, 5, and currently #2 due to a chance at a prize given by #1. Maybe I'm not Reformed enough? Props to Keller and Piper. The supreme, exhaulted, abundant, exuberance, glorified, exceptional, enormous, spectacular, qualities of an adjectively cavalcadian flowery sermon by John Piper, don't do a thing for me. This is one Lutheran who can see right through all that Baptist law preaching. I should have added the Westminster Bookstore referral graphic link to #2. Boy is that everywhere!